Sorry I am a day late on this blog post about our retreat, but I had the fat quarter giveaway post go up yesterday so now I am a day behind on retreat posts. Let's get caught up! I completed my Stepping Stones quilt and am tickled with the results. I used all Kaffe Fassett Collective fabrics (which by the way, are ALL on sale this weekend only for $8.25 per yard through Sunday... click here) combined with a black striated batik sashing and Judy Niemeyer's Pattern Stepping Stones. You can find her pattern by clicking here. 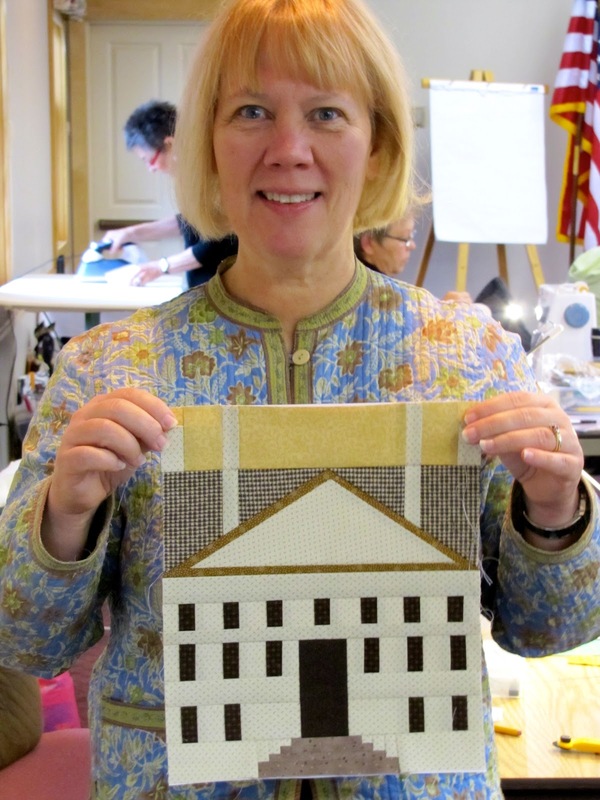 Eleanor finished paper piecing her courthouse which had 17 windows!!! Great job Eleanor. Carolyn gave us a weaving demo for woven quilts. I really liked this one. 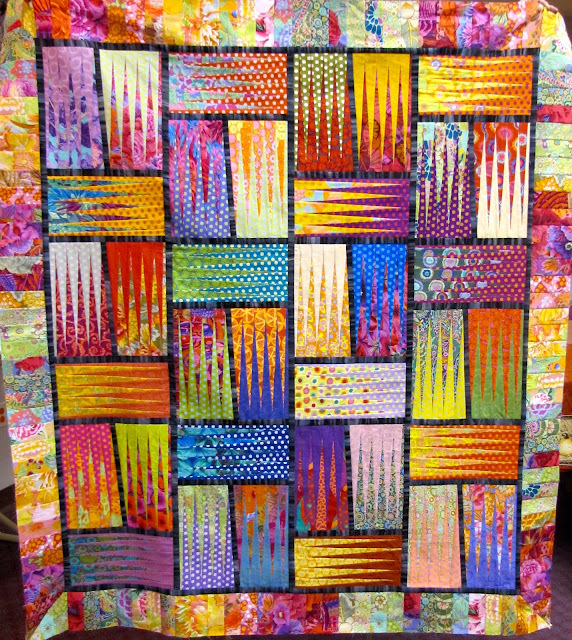 Here is her woven quilt. I love it!! Susan finished this amazing Christmas quilt. 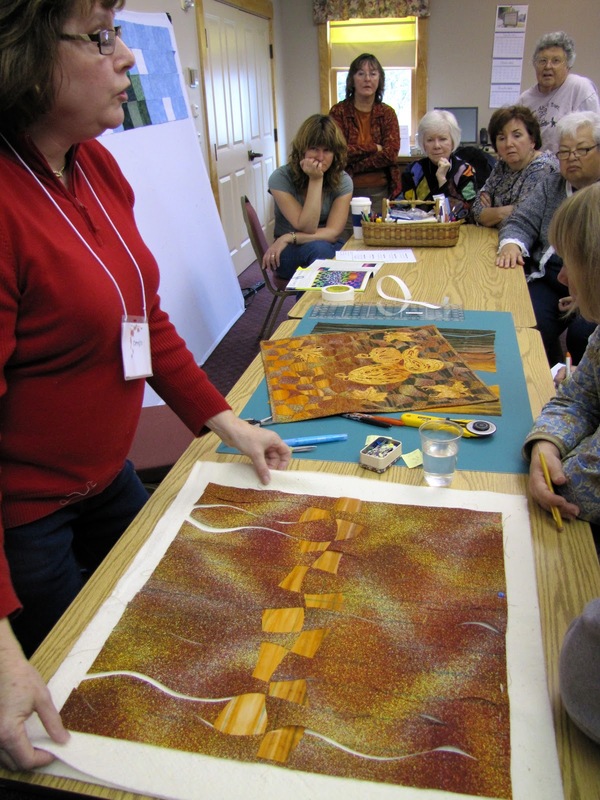 Norma is an incredible quilter and did a demo with her embroidery machine. This quilt above is gorgeous isn't it? She demoed how to appliqué these Kaffe eggs with your embroidery machine. They are so cute!! Tomorrow I will have Day 4 of the retreat for you! And ALL Kaffe Fabrics and Art Gallery Fabrics are marked down to $8.25 per yard for the weekend. Click here to get started!